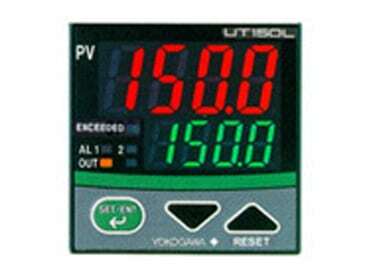 The UT35A-L is a digital indicating controller that can be configured as a high or low limit controller by the user. It features a universal input, three alarm outputs, a retransmission output, a timer to count the total time the setpoint is exceeded and a register to retain the maximum temperature reached. The UT35A-L also complies with FM approval. 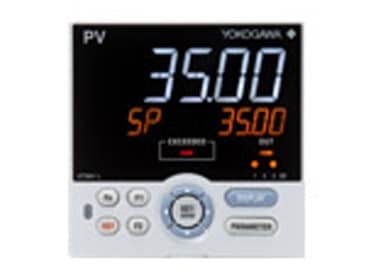 The UT150L is a 1/16 DIN sized limit controller that complies with FM approval. It is ideal for oven, furnace and kiln applications. Configurable as either a high or low limit controller, the UT150L also features a universal input, a timer to count the total time the setpoint is exceeded and a register to retain the maximum temperature reached. Two alarm outputs, a retransmission output and communication functions are also available as an option.